and to those wondering, No. This movie is not connection to the DCEU. I think it looks pretty good. Honestly I'm just glad they're moving away from the DCEU. My only concern is that they may try to make the Joker the 'good guy', because he's the protagonist. Venom did this; yeah he bites peoples faces off but at the end of the film he is the hero. If they make it in the same way the trailer presented the movie, I feel like it'll be pretty good. 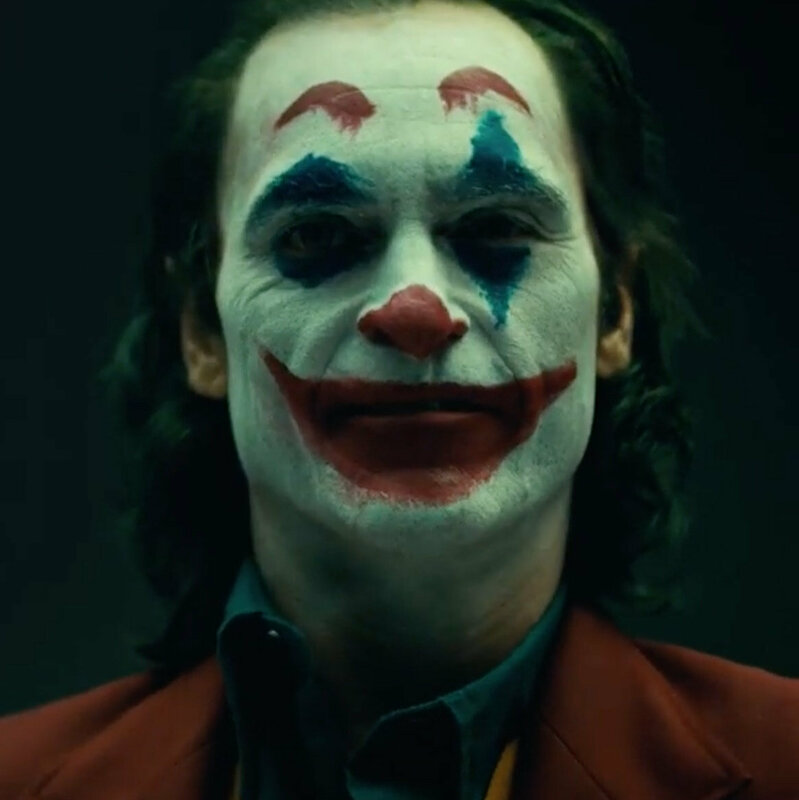 An artsy kind of movie that focuses on a dude becoming an evil clown would be a breath of fresh air compared to other superhero movies. At first I was against the idea of giving Joker a backstory. For me, it seemed to go against who he was as a character, but, having seen the trailer, I think it could really work. I like that it will be it's own separate thing from any other films, and I'm really only afraid about them making the Joker a hero, like what @Ozkabot said. Warnerbros don't call it the "DCEU"
Fun fact, though I am terrified of clowns, I am not afraid of the Joker. PLEASE NO. LEGO WILL GO MAD WITH THIS. I think the film looks promising. I really like the tone their going for in the trailer and if it's any indication of what the movie will be like, I'll definitely try to be there on opening night. @ToaNoah_Wafflemeister I mean to be fair the Joker in general is kinda a crappy clown if you're just going off his face alone. Seriously the only thing that can be seen as clown esque on his face is his hair, lips, and skin color. his hair, lips, and skin color. At least, in this movie. I think they'll pull a Venom/Deadpool and just not care. No, they're obsessed with Joker and Batman. If I had to guess, this will either go the Suicide Squad rout and get a set loosely based off of the film or not get a set at all. Word on the street is that this could be an R rated film, and LEGO doesn't touch those with a ten foot pole. Even Suicide Squad, as a PG-13, was too much for LEGO, so let's not start the doom and gloom "LEGO is gonna flood the market with Joker sets" talk. I'm not even sure how many sets you COULD make based on the film. Joker holds a subway station hostage doesn't exactly translate well to play features. they're obsessed with Joker and Batman. The former only because of the latter. Besides, Batman is the most well known superhero. get a set loosely based off of the film or not get a set at all. Yeah, seeing how Venom, which, as far as I know, was tamer than Suicide Squad, essentially only got an updated minifigure (which still doesn’t portray the movie version by any means), this movie isn’t on the track to get anything. However, Venom could have had something to do with Sony and LEGO’s minimalistic connections, going as far as getting an ASM 2 Electro, ASM 2 Spider-Man, and then Spider-Gwen and 2099. At first I was against the idea of giving Joker a backstory. i mean... other DC movies, comics and tv shows have given Joker a backstory, or at least hinted towards one. The movie seems to draw a few inspirations from the Joker's most favored "backstory" from The Killing Joke. It mostly seems to just be the "failed comedian" part, though. by the way, when looking at the actor who plays the Joker in this movie, Joaquin Phoenix. I can't help but feel that he looks like one of the past depictions of the Joker in media. It looks really good, although my biggest concerns are A). The R rating. Only a few superhero movies have ev ever done well with such a hard rating, and I'm having a hard time seeing this one pull away like Logan and Deadpool, as Deadpool was a comedy, and evryone all ready knew who Logan was. Evryone knows the Joker, but not this Joker, and might get turned off for it. B). The heck was up with the lady in the bath? That entire cut of the trailer made me uncomfortable and just didn't make sense with the rest of the trailer. Overall, I like the idea of going into what makes Joker mad, I feel like it could be a really interesting movie, and with what looks to be an 80s setting, a really cool atmosphere. I'm fairly sure that's the point; to make you / the viewer uncomfortable. It just reminded me a litlte to much of amother recent Joaquin Pheonix movie. The heck was up with the lady in the bath? That entire cut of the trailer made me uncomfortable and just didn't make sense with the rest of the trailer. Presumably that's his mother, as he's narrating Forrest Gump style about his mother slightly before she appears on screen. She might be in a position where he has to take care of her himself instead of a nursing home. If I had to guess, she'll be his emotional and moral center up until the point he begins to crack. Either she'll be his first kill, or she'll be part of his "one bad day" that sends him into madness.